NOTE: This was a class that was offered in 2013, it is not a current offering. What PS1 does have are irregularly scheduled authorizations for it’s members, access to the tools and equipment, and usually enough material for learning, though the general rule for materials is BYO. While we do not usually have “classes” per se, we are an environment and a group of people that foster learning from other members and through practice (trial and error with very little judgement about the “error” part of things.) 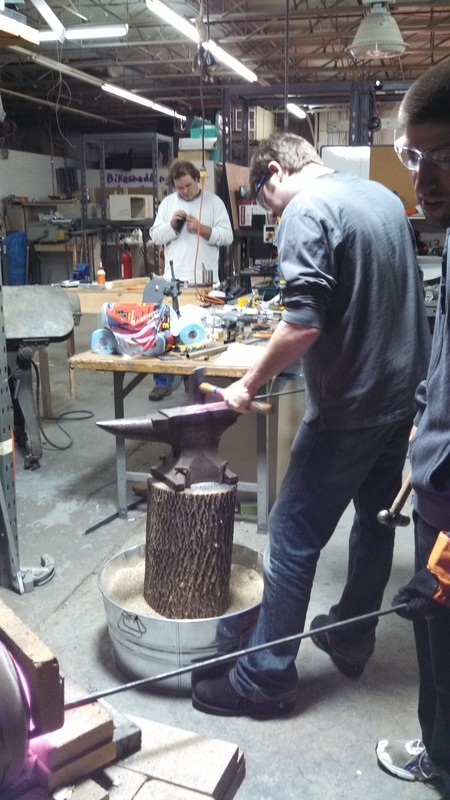 If you join as a monthly member, you can be authorized on all of this equipment (we have a new forge and anvil now, too) and have 24/7 access to the shop. At 11,000 square feet and with 400 actively dues-paying members, PS1 is a great place to learn and practice. Come to an open house (practically) every Tuesday evening at 8 pm for a chance to meet members, to look around and for a quick tour. Both the fire poker and the railroad spike knife classes will be offered on SUNDAY April 14th at Pumping Station:One. anger while also pleasing your inner pyro . 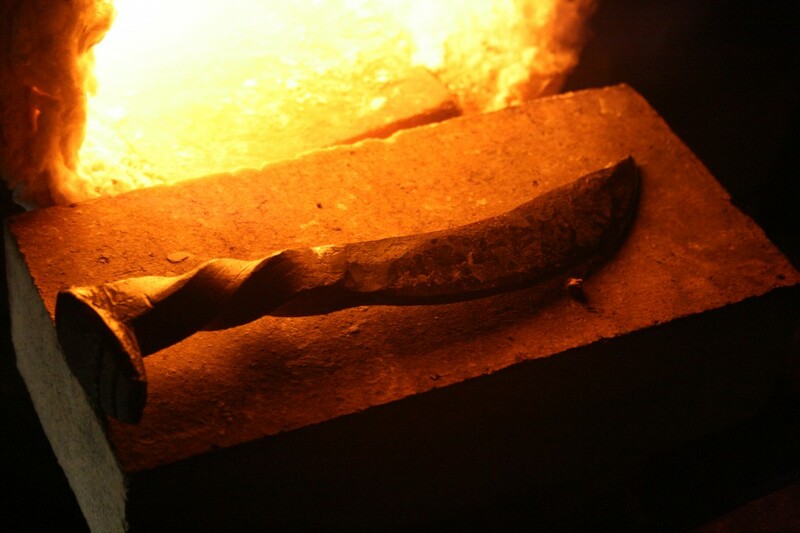 You will learn to taper & draw, twist, and to scroll some steel. And you get to take it home and show it off! Or, if you are more into stabbing junk mail through the heart, make yourself a RAIL ROAD SPIKE letter opener! You’ll learn to sledge, taper & draw, and maybe even twist your handle. Please sign up for your preferred class and time using the booking link HERE! $25 for members ($30 for non-members) for the *rail road spike* class. Both classes will also certify members to use the forge! 1. If you have a nice pair of safety glasses, bring them – we have some available, but they may not be comfortable. 2. Wear ONLY cotton clothing and closed toe shoes (preferably leather with rubber soles) Any other fabric may catch fire and will melt onto your skin and continue burning you which is never fun. A lightweight, long-sleeved shirt is preferable to protect from flying slag. 3. 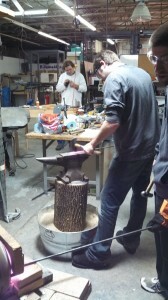 Bring a water bottle- forging is hot work. 4. Your off hand (non hammering hand) will be holding the steel and will require a glove (though two gloves is REALLY preferable). Please bring well fitting all LEATHER gloves if you have some (calf skin gloves work best). This helps reduce chafing and prevents burns. Your hammer hand does not have to be gloved, but better safe than sorry. 5. This activity has a high risk of burns – you will be dealing with glowing hot steel, sparks, and hot slag. Wearing appropriate clothing and gloves minimizes this risk, but accidents still happen. You have been warned, now come have some fun!